There is a big part of me that still can’t believe that I’m lucky enough to be pregnant again and the other part can’t get over just how fast this pregnancy seems to be going already. 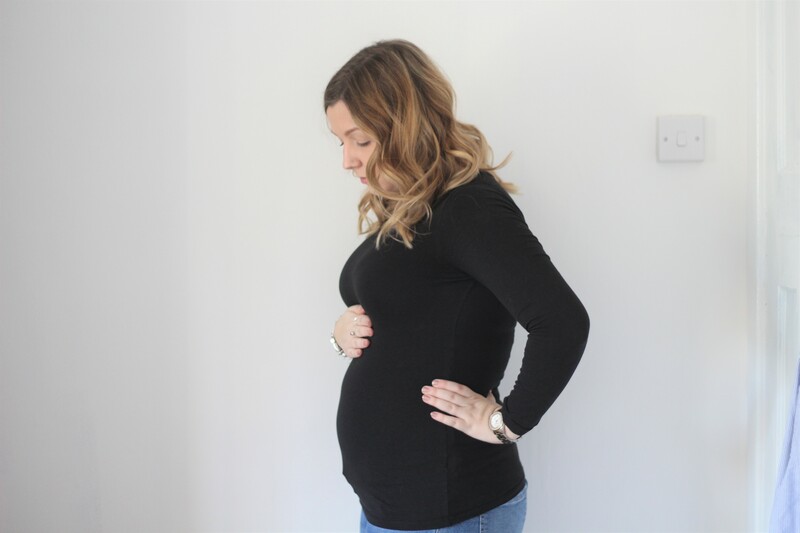 Which I think is one of the main reasons why I want to do these pregnancy updates on the blog, as I know that the coming weeks are going to fly by and if I don’t write it down, I fear I’ll forget all those little details. I’m already into my second trimester which is just crazy as it only feels like last week that I saw those two pink lines. So here’s how I’m getting along in my fourteenth week of pregnancy. It’s still too early to know at the moment, but we do have a private gender scan in a couple of weeks time which I am really looking forward to. I’m currently swaying more towards a boy despite everyone I know telling me how they think I’m having another girl! According to my app, baby is the size of a peach. Measuring about 8.7cm in length and weighing around 1.52 ounces. Baby is now able to open and close its fists as well as make sucking movements with the muscles in the mouth. All the organs of babies digestive system are now developing into their final shapes too. My weight has been a bit all over the place so far to be honest. I gained a few lbs in the first few weeks purely from just eating whatever I fancied as I was off most food, I have since lost it all but regained some again. So my current pregnancy gain is +2lbs although I imagine with Christmas looming that may have changed quite a bit by my next update! My sickness seems to be coming to an end thank goodness, I do still gag a bit first thing in the morning but I haven’t been sick in almost a week now I spoke too soon and have been sick three times since writing this a few days back. Although I’m no longer feeling super nauseous 24/7 anymore. I’ve felt particularly tired this week but I think that’s probably down to it being such a busy time of year more than anything. I have also been experiencing a bit of lower back ache, which I have found is much worse after a day at work when I have been sat at my desk all day. I’ve been sleeping fine this week thankfully, although I’ve been having some very strange dreams! I got my V pillow out a few days ago to try and support my bump a bit better in the hope it may help the back pain too. Apart from feeling a bit tired and run down, I’m feeling really well at the moment. Nothing in particular. Although with Christmas coming up I keep thinking about pate on crackers, so no doubt I will be missing that in a couple of weeks! I am obsessed with my Next maternity jeans right now. 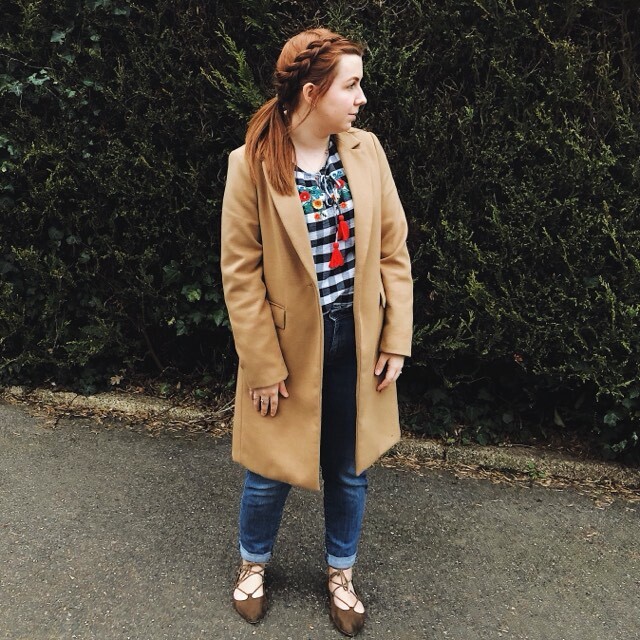 I said goodbye to my normal jeans a couple of weeks back as I didn’t want to stretch them and because maternity jeans are just really bloody comfy. I’ve bought three different pairs and these Next ones are by far my favourites. I’ve been wearing them with chunky knit jumpers and heeled ankle boots as it’s been pretty chilly lately. Booking our gender scan in. We have our works Christmas do this weekend so I’m looking forward to a little weekend away before the festive madness really hits! I also can’t wait for Josh and I to break up from work for Christmas, only one more week to go!